Despite its prevalence, Australians are still uncomfortable discussing Domestic Violence. Domestic Violence NSW wanted to raise awareness and get people talking. So The Joy Agency turned the one day we celebrate love, into an opportunity to discuss the issue. 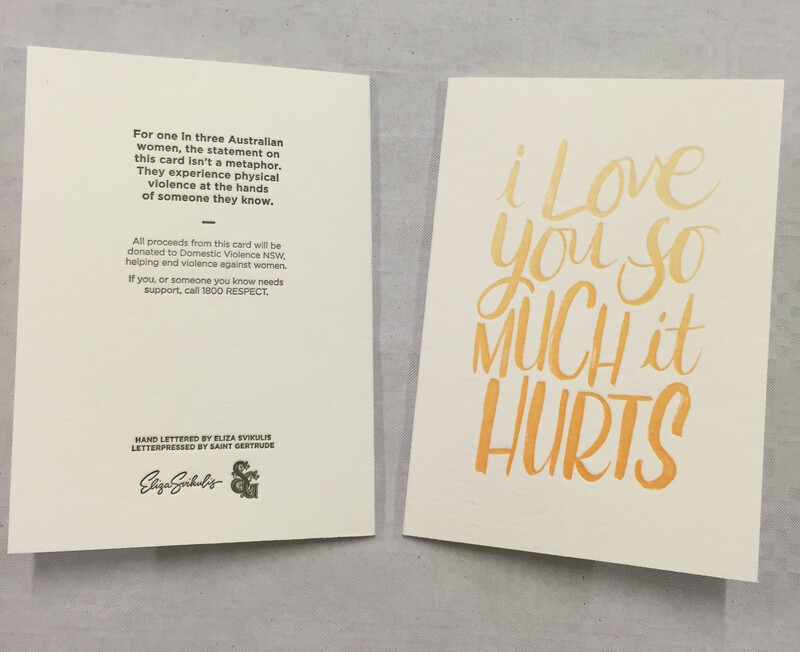 Together with Australia’s top female typographers they created a series of Valentine’s Day cards that on the surface looked like regular cards featuring cheesy metaphors of love, but on closer inspection had an entirely different sentiment. As the cards circulated, they started a conversation across Australia about an issue too often swept under the rug. This entry was posted in Uncategorised on 16th June 2016 by Gyles Lingwood.